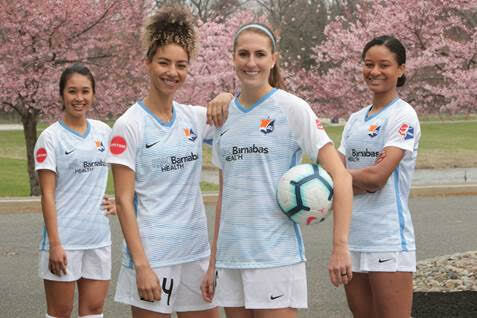 From left, Sky Blue FC players Caprice Dydasco, Estelle Johnson, Sarah Killion and Imani Dorsey pose at the team’s Lakewood training facility in their new RWJBaranabas health uniforms. RWJBarnabas Health, in collaboration with Sky Blue FC, on Thursday announced that the state’s largest health care system will serve as an official partner and the official health care provider of the New Jersey-based National Women’s Soccer League franchise. 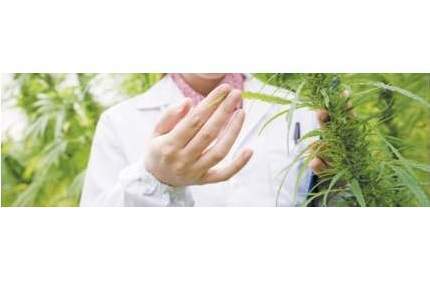 This multi-faceted partnership aligns with RWJBarnabas Health’s mission to advance health care, the organization said, while promoting health and wellness initiatives and education in its communities served across the state. As the only women’s professional soccer team in New Jersey, Sky Blue FC has competed in the National Women’s Soccer League since 2013. Led by United States National Team Captain, Carli Lloyd, Sky Blue FC plays its home matches at Yurcak Field on the campus of Rutgers University in Piscataway. Georgian Court University in Lakewood serves as the team’s official training facility. Additionally, Dr. Jason Krystofiak, an RWJBarnabas Health sports medicine physician, will serve as medical director for Sky Blue FC.